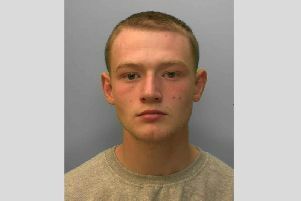 Police are appealing for witnesses after a man suffered serious head injuries following an assault in a Sussex town. Officers were called to London Road, Brighton around 7.50pm yesterday (Saturday, April 21) following an altercation between the occupants of two vehicles. Police said one of the men exited his vehicle and approached the second car and both a verbal and physical altercation occurred. A 37-year-old man from London was hit in the head with, what was believed to be, a steering wheel lock. He suffered serious but not life-threatening or changing head injuries and was taken to hospital. Detective Sergeant Donna Ward said: “This was an isolated incident between two vehicles. “The two cars were involved in a road rage incident and this has subsequently lead to a physical altercation. “We believe there was a bus going past the two vehicles at the time of the incident. A 39-year-old man from London has been arrested on suspicion of grievous bodily harm with intent. A 37-year-old man from London was arrested on suspicion of affray. Both men remain in custody and the investigation is ongoing. To report information please go online or call 101 quoting reference 1193 of 21/04.